Is Facebook Consuming your Life? To conclude this series, today let’s think about all the customers that are going into the restaurants our chefs are working in. For me, I picture a large fine dining restaurant, where people are dressed up, ready to meet family and friends to celebrate Christmas or just to enjoy a nice meal in the midst of all the hussle and bussle. 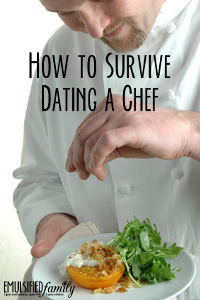 At one point or another, we’ve all felt very alone being married to or dating a chef. I say it all the time, but just in case you missed it . . . YOU ARE NOT ALONE. 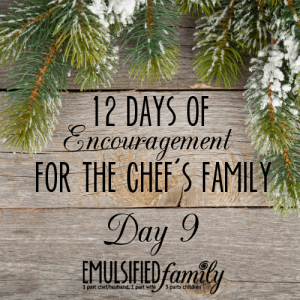 The whole reason I write this blog is to connect with other chef families and so that we don’t feel so alone. 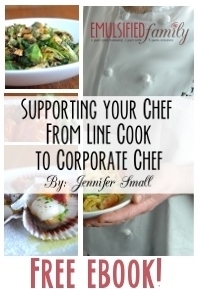 I remember when I told my chef/husband that I was thinking about starting this blog, I had no idea there were already a few other brave chef wives who had done the same. I know Christmas time is your favorite time of year. I love to see your excitement as we drive down the street and see Christmas lights. I love how you take the time to write a list of things you’d like to get your sisters and friends for Christmas. 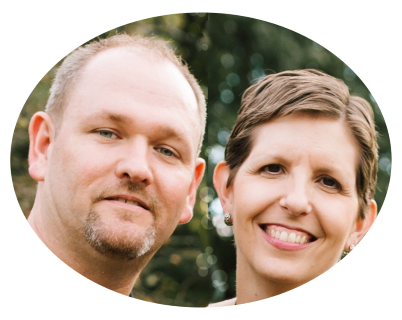 I love talking with you each morning at the breakfast table during our morning devotions as we talk about the birth of Jesus. You are all growing up so fast and Daddy and I are so proud of you. It’s just part of the year. It’s not forever, even though it might feel like it when you are completely worn out and haven’t see your chef in what seems like an eternity! We will see our chefs again soon. Really, we will! Think ahead to January which is “usually” much slower at the restaurant. I don’t want to rush Christmas, but remember, this time of even crazier than normal chef hours is just for a season. Quick tangent on that . . . is there really a job that is 9-5 (or somewhere close) any more? Out of all my friends, I only have a handful whose husbands work a traditional schedule like that. All the others are working one or more jobs with different hours, just like my chef/husband. (Although maybe not quite as many hours.) OK, tangent over. Chef Wife, Mother of 3 and the Blogger behind EmulsifiedFamily.com.